I have been horrible at keeping this blog up. Right now, I am still working on several different projects (one beading and 2 sewing) and I don’t have anything prepped for a post one previous creations either. So I guess it comes down to posting about my early birthday present. During the fall, my dad and aunt were cleaning the basement of my grandmother’s house and came across items for the sewing machine. My dad brought me out the bundle of treasures for the sewing machine- since I was given the machine. 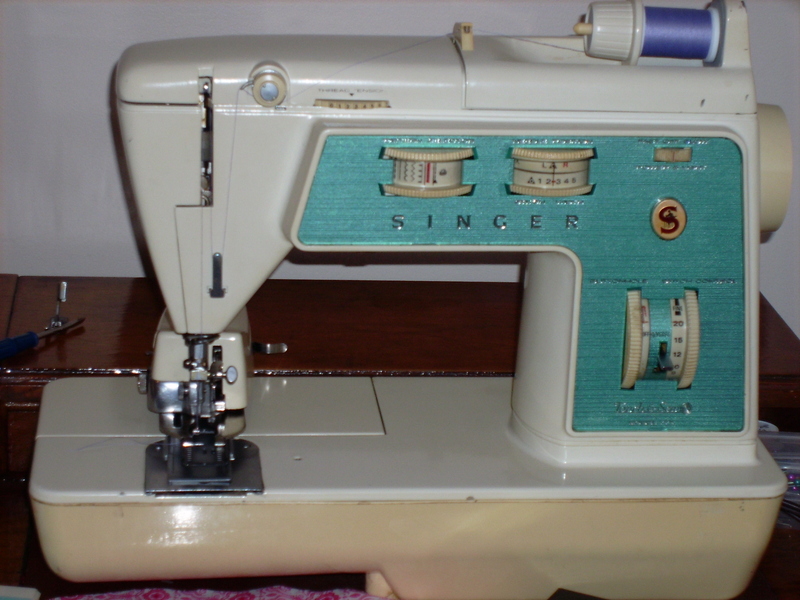 I was most excited at the time about getting the original manual for the Singer Touch & Sew 775. The original manual is much better than that photocopy of the manual I got from Singer. 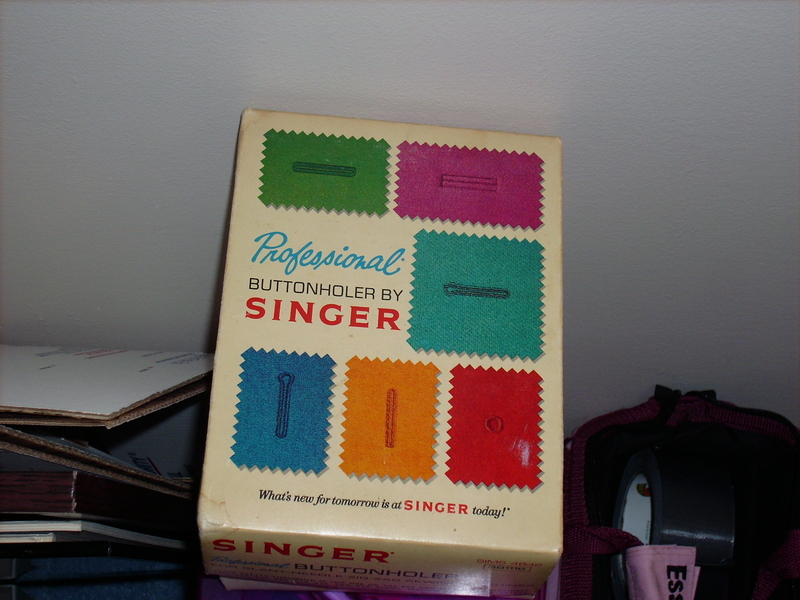 But also in the bag was a Singer walking foot and the Singer Professional Buttonholer. I haven’t played with the walking foot much yet. I have tried out the Professional Buttonholer after I had cleaned and oiled it of course. I couldn’t believe how super easy it was to use. It was then that I realized how great attachments for my 1970’s Singer could be. I even got adventurous enough to try out the cams that came with the machine that I never have used (that absolutely adorable ducky cam). Recently, I got to practice using the decorative stitches and use the Professional Buttonholer on a banner for co-workers. D-league softball (bottom of the barrel- can’t get any worse than) champions of a city league that doesn’t even allow a homerun need a banner to honor their first championship mostly for pride and to rub it in to the other co-workers’ team. I used the star cam for the border (apparently guys don’t like ducks). 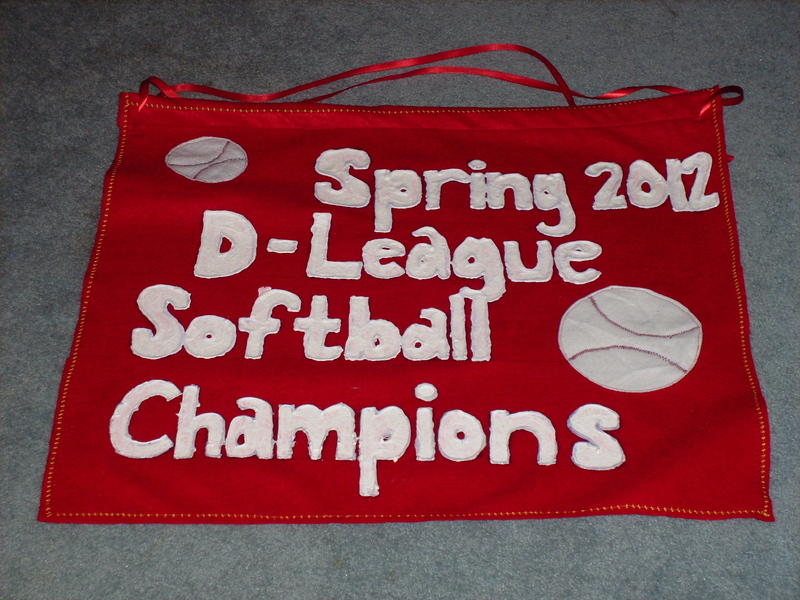 One of the players honestly thought I hand sewed the laces on the softballs I put on the banner. 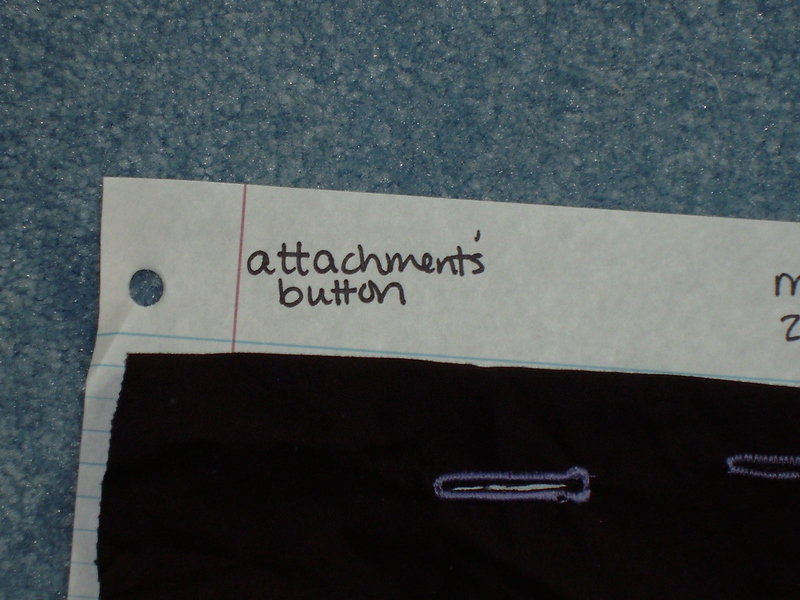 I started looking for other attachments for this sewing machine. Luckily it was a slant shank machine, attachments for it are much easier to find on Etsy and Ebay than the low shank attachments. 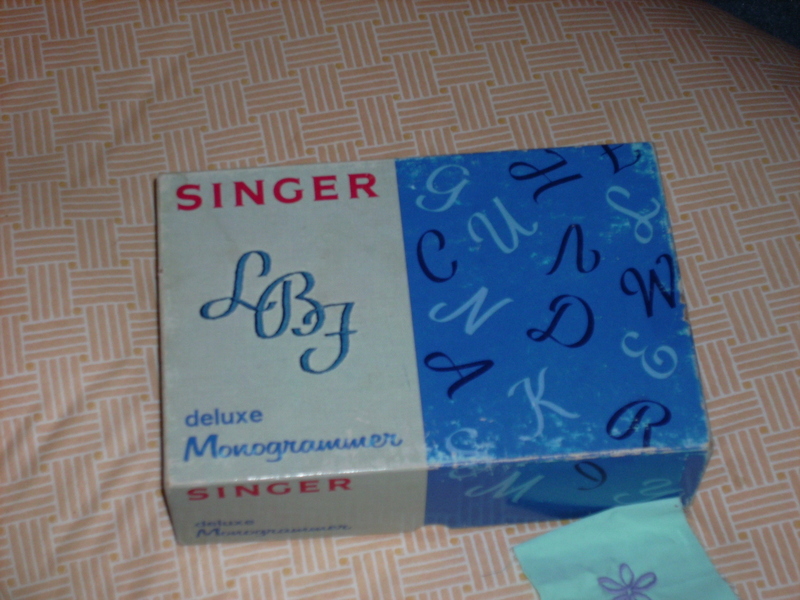 I found a Singer Deluxe Monogrammer with eight different letter cams. My parents graciously bought it for me for my birthday and let me have it about 2 months early! Now I am trying to resist the urge of picking up a cardigan at a store just so I can monogram it.